The Farm Bill’s passage presents marijuana cultivators, extractors, manufacturers and retailers with a boatload of federally legal business opportunities by way of hemp-derived CBD. But the pivot from a mainly marijuana company to a CBD company is fraught with regulatory hurdles, gray areas and logistical challenges. Entering the hemp-derived CBD space isn’t as simple as starting a new product line. 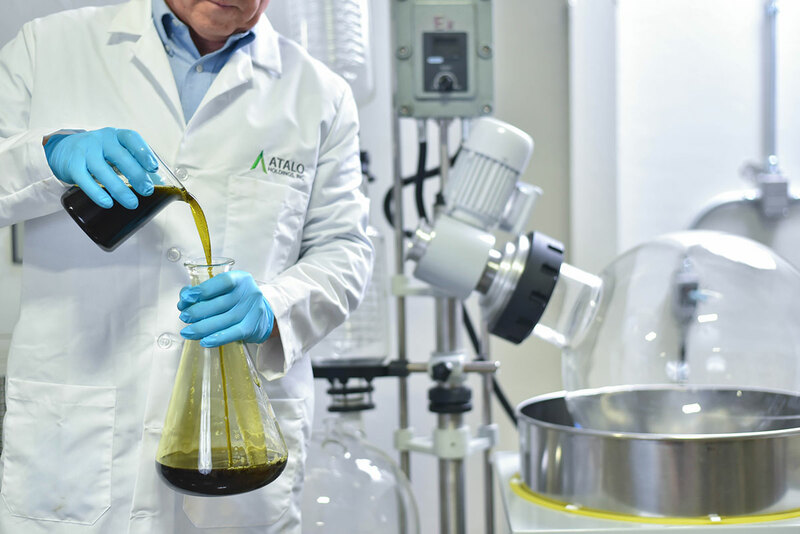 It’s more like starting a new company, according to Craig Henderson, CEO of Extract Labs, a Boulder, Colorado-based extraction firm and CBD products manufacturer. While you’ll need new hemp products with a THC content below 0.3% to be legal, you’ll also need new buildings, new employees and often new equipment. And while some old restrictions are gone, new hurdles have arisen. “I’m not seeing many marijuana people coming in yet, probably because it’s hard,” Henderson said. Hard … but not impossible. Marijuana entrepreneurs who want to enter the federally legal hemp-derived CBD industry should consider starting a business separate from the marijuana entity. “I don’t think the two industries will be allowed to cross over. If you have a marijuana facility, you can’t just run hemp inside of it,” Henderson said. Keeping marijuana and CBD operations separate also will be important when wooing major investors, particularly those wary of pumping money into MJ businesses. Consider Vertical Companies, a Los Angeles-based medical and recreational marijuana company with multistate operations that spun off its hemp-based CBD assets into a new entity called Vertical Wellness. “We’ve been talking with hedge funds and institutional investors for a while, and everyone is interested, but no one will commit (to cannabis) because of the federal prohibition,” said Smoke Wallin, president of Vertical Companies and CEO of Vertical Wellness. “We’ve taken all of that hemp-based business – the brands, the manufacturing and farm contracts – and put them all under Vertical Wellness as its own stand-alone company, because you just cannot have cannabis-touching activity if you want to access institutional capital,” Wallin said. While marijuana and CBD businesses must be separate, they can be owned by the same person, according to Sean Covi, a vice president at Trilogy Financial, a California-based financial services firm with offices in Denver. “As long as they own the hemp business separately from the higher-THC-content business, the same person can own both,” he said. Another challenge facing marijuana companies angling to enter the CBD industry will be finding cultivars that are rich in CBD. For extractors, the issue is developing hemp-based formulations that are compliant with federal law – less than 0.3% THC – yet still effective. For example, Vancouver, Washington-based Fairwinds, which makes infused products such as tinctures, capsules, topicals and others with ratios that can be THC- or CBD-dominant, wants to enter the hemp-derived CBD business by capitalizing on the Farm Bill’s passage. Currently, Fairwinds offers several products with high-CBD and low-THC ratios that are derived from oils extracted from plants of the Omrita strain, which are grown in-house and can have as much as 26% CBD and less than 1% THC. But Omrita is a marijuana plant whose low-THC content is still higher than is allowed under the new Farm Bill. As a result, those products can’t be shipped across state lines or sold legally at the federal level. The solution wasn’t simply removing THC from the products, because that would make them less effective. Rather, in anticipation of hemp legalization, Fairwinds CEO James Hull and his team spent more than a year finding new cannabinoids that could replace THC in formulations. “We saw this day coming and have been working on this for over a year now, asking, ‘How can we formulate products like the PM300 – an anti-inflammatory, pain-relieving tincture that uses THCA and a little THC – and bring it into the hemp-CBD market and not lose any of the effectiveness?’” Hull recalled. Fairwinds buys whole-plant CBD oils and CBD isolates from wholesalers in Oregon and Colorado for products the company wants to sell nationwide. Hull also started a completely separate business entity, Fairwinds CBD, in December 2017. Marijuana businesses interested in hemp-derived CBD should be wary of agricultural or industrial hemp cultivars that are low in THC and not very rich in CBD. “Many people are extracting CBD from hemp plants not bred for CBD, which is inefficient,” said Guy Rocourt, chief extractor at Papa & Barkley, an infused product company in Eureka, California. Owners of hemp-derived CBD companies must be careful about what they say about their products, including statements about the potential health benefits. Fairwinds, for example, opened a hemp-derived, CBD-only facility more than six months ago and has produced and stockpiled federally compliant CBD products, including tinctures for digestion, sleep, pain relief and anxiety – as well as vape cartridges. But the company has yet to label them, let alone ship them. “We have to be very cautious about what we say about our products and what claims we make. I don’t want to start a business and then three weeks later get a cease-and-desist (letter) from the FDA,” Hull said. “When we launch our product line, I want to make sure we do it right. I don’t want to have consumer confusion. I don’t want to put out a product that says X, Y and Z, and then I get a notification from the FDA telling me I need to change my packaging. Also, the FDA still hasn’t designated CBD a food additive. So, Hull is unclear whether it can it go in drinks. “Nothing is black and white. Many things are still open to interpretation,” he noted. That said, Hull hoped to have some of these products on the market nationwide before the start of spring. Businesses must also expect to process more hemp, because it produces less oil than marijuana. As a result, MJ entrepreneurs who pivot into hemp will likely need bigger extraction machines, Henderson said. He estimated that a large marijuana company processes 100-300 pounds of cannabis per week, whereas large hemp companies process 2,000-10,000 pounds of the plant each week. How do you prepare for having to process exponentially more product? “You need more employees, more space, more equipment, larger equipment,” Henderson said. Although it’s these regulatory and logistical demands will likely give would-be CBD entrepreneurs headaches, they believe their investments will pay off in the end. Omar Sacirbey can be reached at [email protected].